The Patriarchal Cathedral Basilica of Saint Mark, commonly known as Saint Mark's Basilica, is the cathedral church of the Roman Catholic Archdiocese of Venice, northern Italy. The lovely church St Mark`s basilica has a very cool design the church has 3 domes and lots and lots of gold statues such as the gold lion statue. 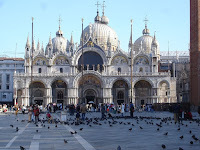 St Mark`s basilica is one of the most visited land marks in Venice, the church has lots of legends and story behind it. Piasa San Marco),often known in English as st marks square,is the principal public square of Venice,Italy,where it is generally known just as la Piasa. The rialto bridge was made in 1591.It was made by a swiss engineer.It was the oldest bridge of them all. It took 3 years to build. It was so tall that ships could drive across. As the largest square in the city and the only one given the designation of "piazza" (the others are all referred to as "campi, St. Mark's Square has always been the location of important government buildings and other facilities central to the goings on in Venice. 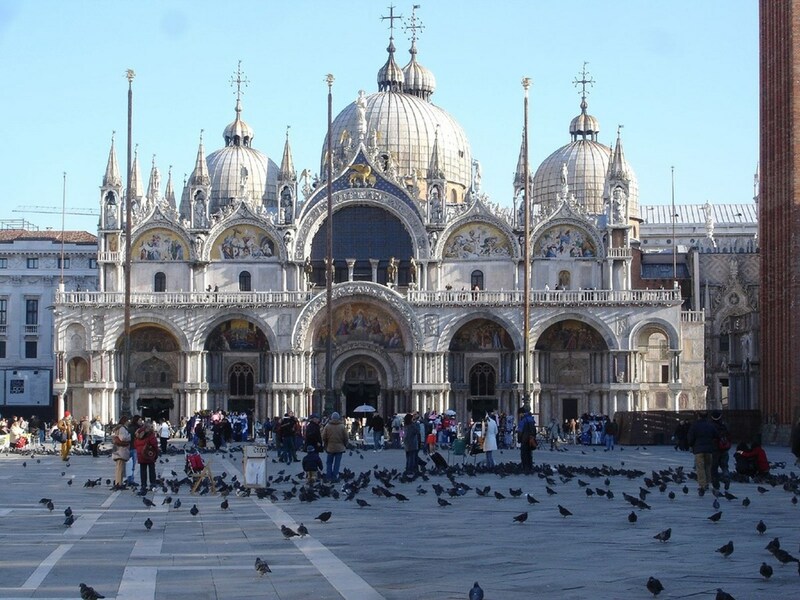 Piazza San Marco, often known in English as St Mark's Square, is the principal public square of Venice, Italy, where it is generally known just as la Piazza. All other urban spaces in the city are called campi. The Rialto Bridge is the oldest of the four bridges spanning the Grand Canal in Venice, Italy. Connecting the sestieri of San Marco and San Polo, it has been rebuilt several times since its first. You should go to Venice because...THEY HAVE 417 BRIDGES!!!!! Venice is a famous city in Italy that you should go to! piazza san marco is a popular place to go. poeple go there because the place is huge. 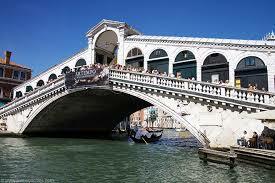 The Rialto Bridge is the oldest of four bridges spanning the Grand Canal in Venice Italy. 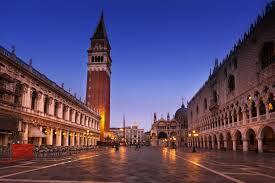 the coordinates for Piazza San Marco are :45.26'2'N 12.20'17'E. This place was built in ST.Mark's square in the year (1720). the rialto bridge is the oldest bridge that crosses the grand canal in Venice,italy and is one of four bridges that span the canal it was the dividing line between the district of San polo and San Marco. Rialto bridge is over 160 years old.the idea to rebuild the bridge was originally proposed in 1503 and several project were considered befor the bridge was eventually built in 1591.the bridge was designed by Venetian designer at it's long span rialto bridge is 104 feet long. the bridge is also 29 feet wide and 24 feet high.